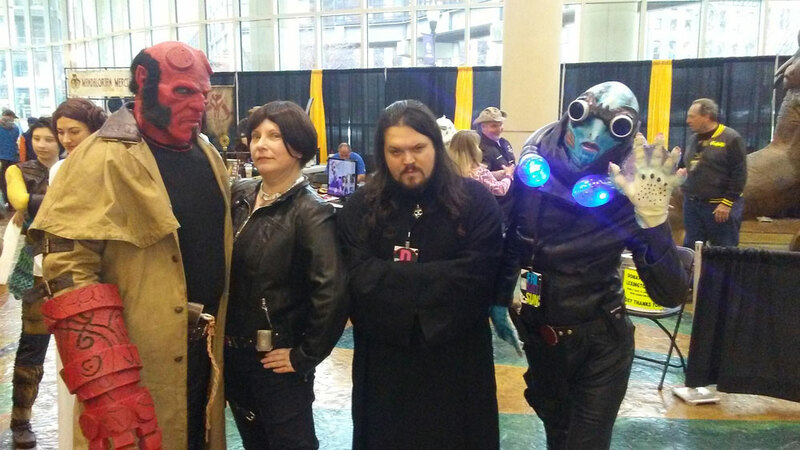 The Comic Con: An event held in many different times and places where us nerds can gather and feel cool. It’s also a pretty good place for those of us who are in our thirties and above to suffer some extreme nostalgia, finding comics we used to read as kids, and toys and game systems we used to play. 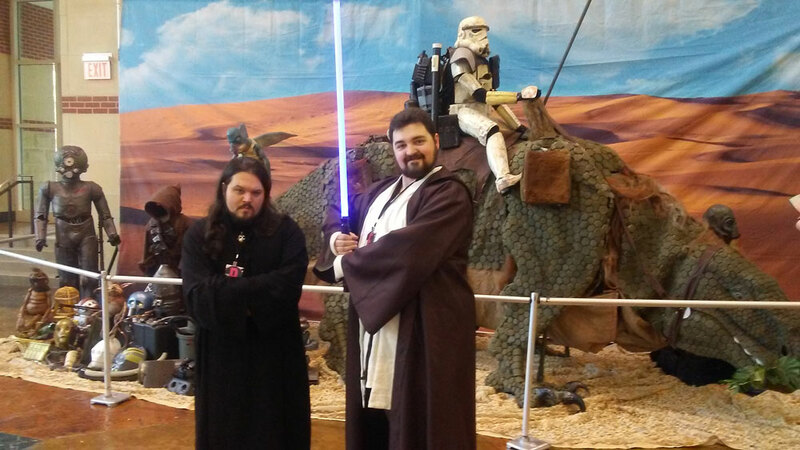 The Lexington Comic & Toy Convention this year embodied it all perfectly. I am a convention junkie. However, most of the conventions that I have been to in my lifetime are the horror and paranormal ones. 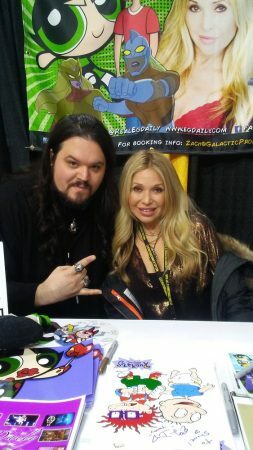 To finally attend the Lexington Comic & Toy Convention, here in my hometown, was an exciting experience, especially when I saw who was on the guest list. 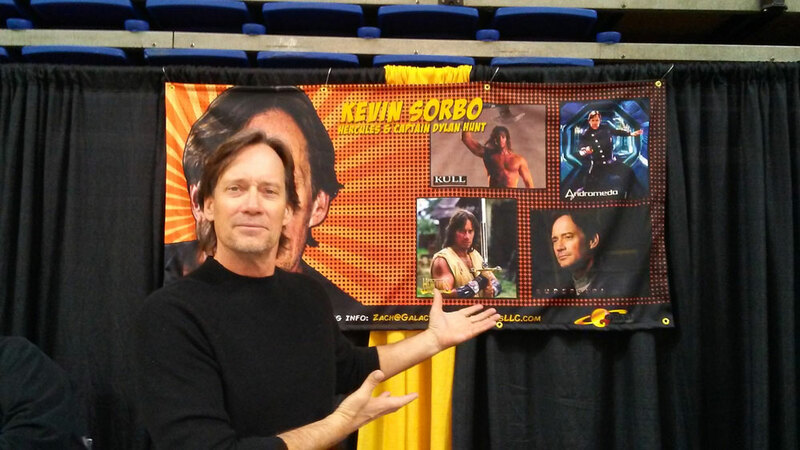 Kevin Sorbo, best known for his role in Hercules. This year, I’m told, that the convention did something a little different (and smarter in the long run). They set up all of their guest celebrities, artists, etc. in the basketball court of the convention center, separated from the vendors. This gave us attendees a lot more room and you didn’t feel like you were packed in like sardines. I was very excited that I got to meet Kevin Sorbo, who turned out to be a really cool dude. And also I got to meet and get an autograph from my boyhood crush from Pee-wee’s Big Adventure and one of my childhood heroes from Rugrats: E.G. Daily. My fondest memory of the con definitely came from my substitute cameraman. 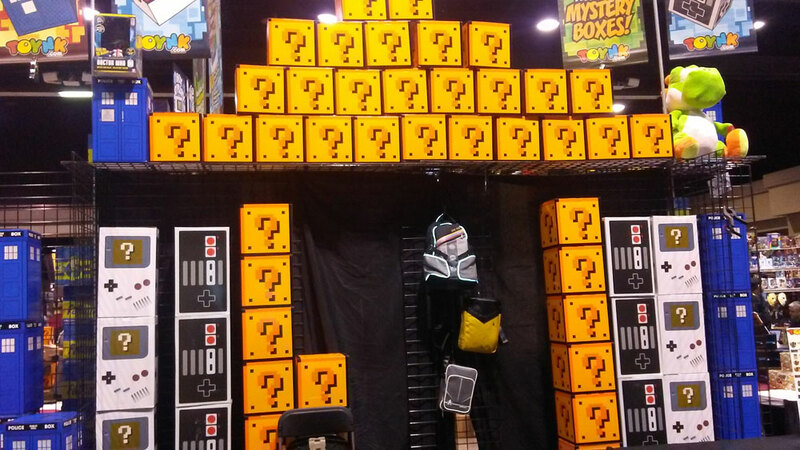 Not only was he a comic book geek, Nintendo nerd, but he was also a con virgin. It was like having my little nephews with me in a toy store. I’d be ready to get a few shots in, I’d turn around and he’d wandered off to one of the vendors, looking at their comics and video games. We’d go from vendor to vendor, and more than once he bought a few comics. At the end of the day he said, “Don’t tell my wife.” Your secret is safe with me, dude! I was really quite surprised to see how many things different vendors had that I could trace back to my childhood. Some of the vendors had the old Ghostbusters toys that I grew up playing with, while others had retro gaming systems. When I found an original Nintendo still in the box, along with a Power Pad and a Power Glove, I about suffered a minor stroke. (Not really, but still exciting nonetheless.) It was then that I realized I should’ve saved a wee bit of cash to bring with me! There were numerous vendors selling comics for less than $1 a piece, some of which were in really good condition. My cameraman spent most of his time around those. Aside from the comics, games and toys, I found a few authors that definitely aroused my interest. Local Kentucky author, Tony Acree, was in attendance. He has a very good, interesting supernatural thriller series involving a bounty hunter. Glenn Porzig, author of the Darkness Unbound series, was also there with the newest addition to his series. I met one author I was unfamiliar with: Robert A. Turk. He’s the creator of Gandersnitch the Goblin. Definitely worth checking out if you’re into fairy tales written for adults. This was my very first time at Lexington’s Comic & Toy Convention, and I will say that it certainly won’t be my last (and next year I’ll be sure to bring plenty of money for all of the retro gaming systems the vendors had).